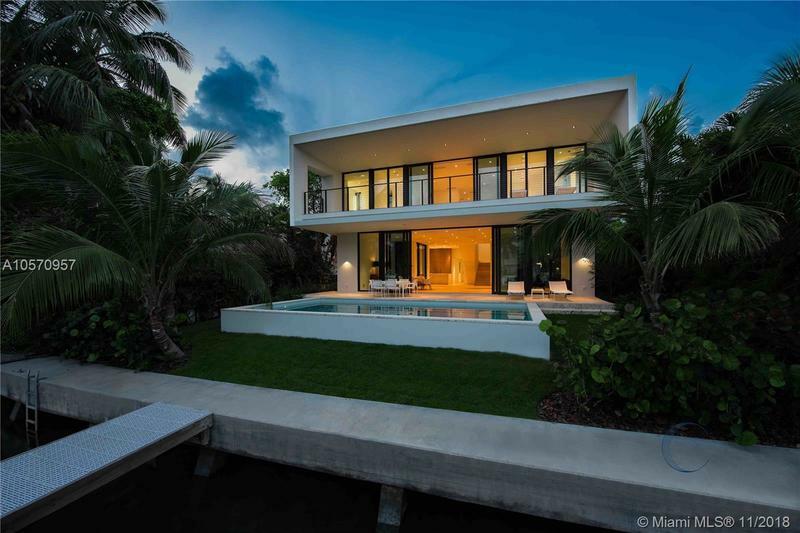 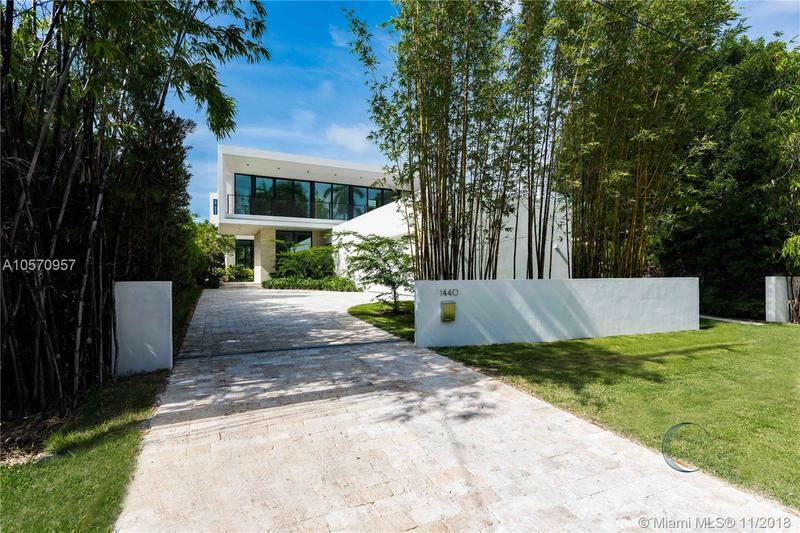 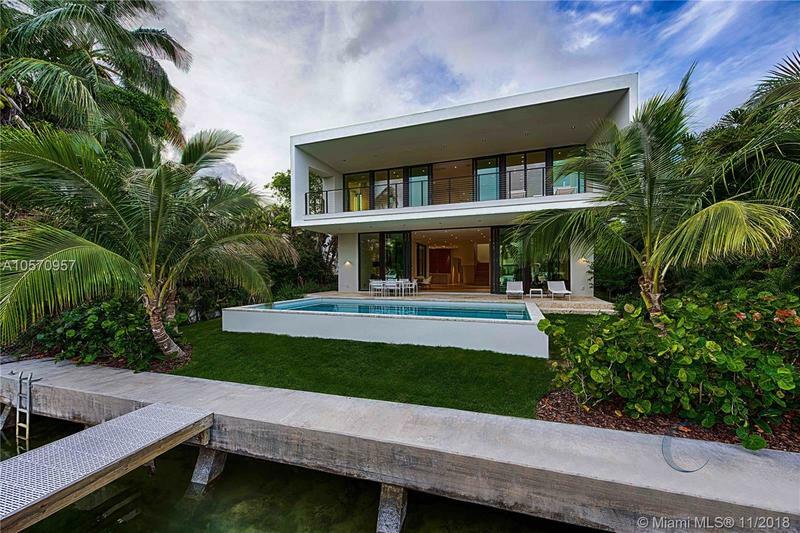 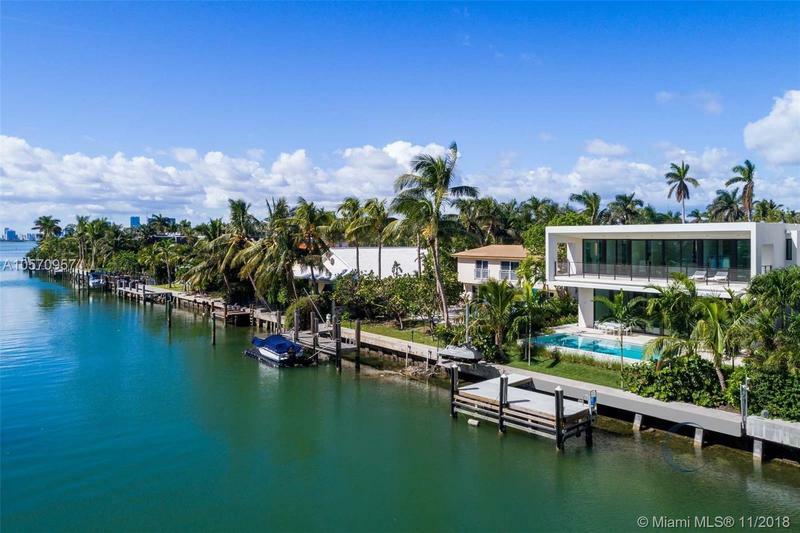 This ultra-modern masterpiece was designed by acclaimed architects DOMO Design Studio & built by Todd Glasser, sits on a private street on coveted Sunset Island IV. 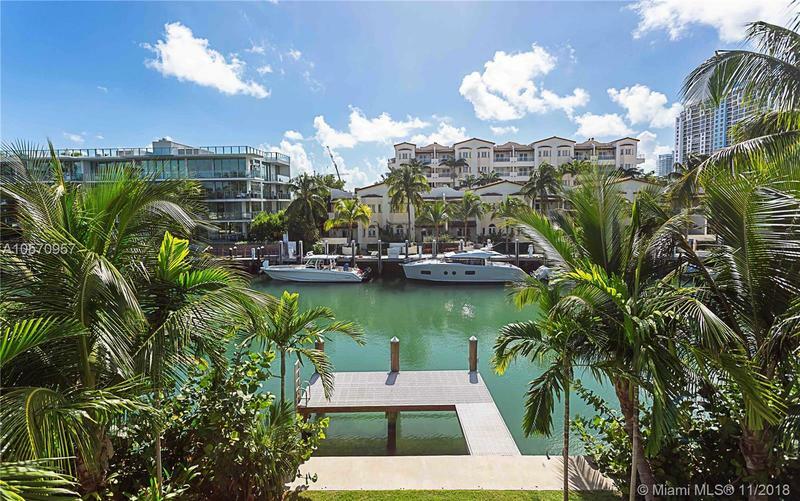 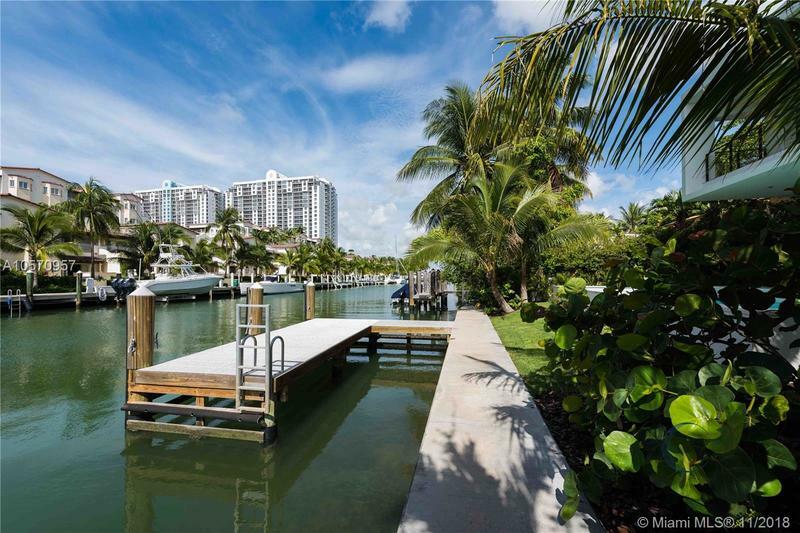 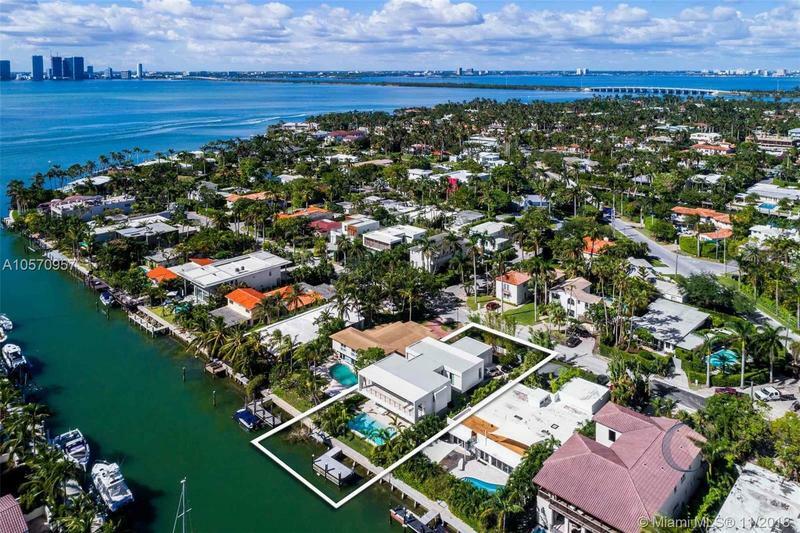 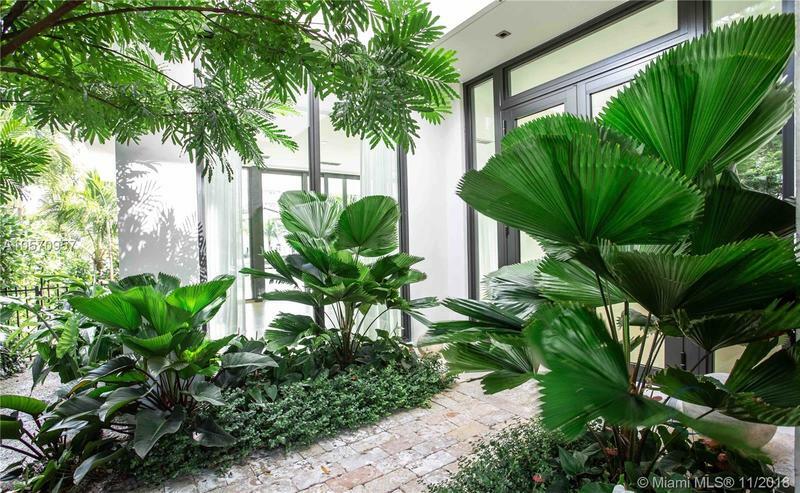 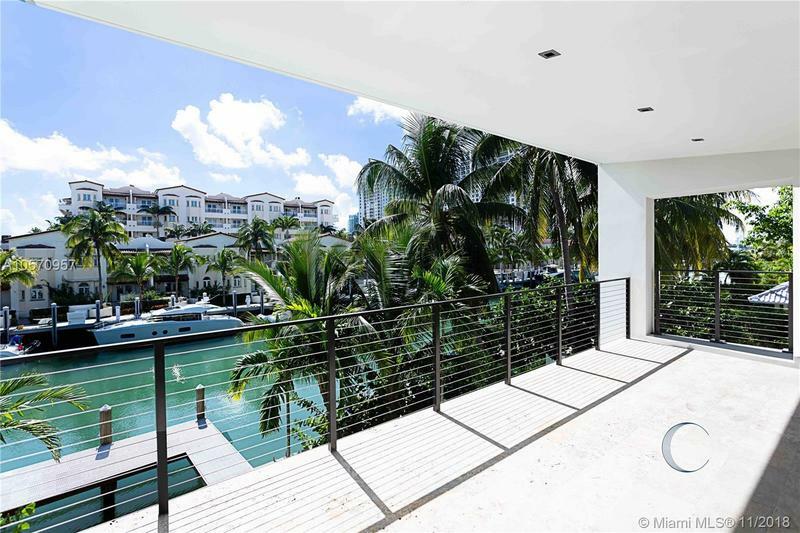 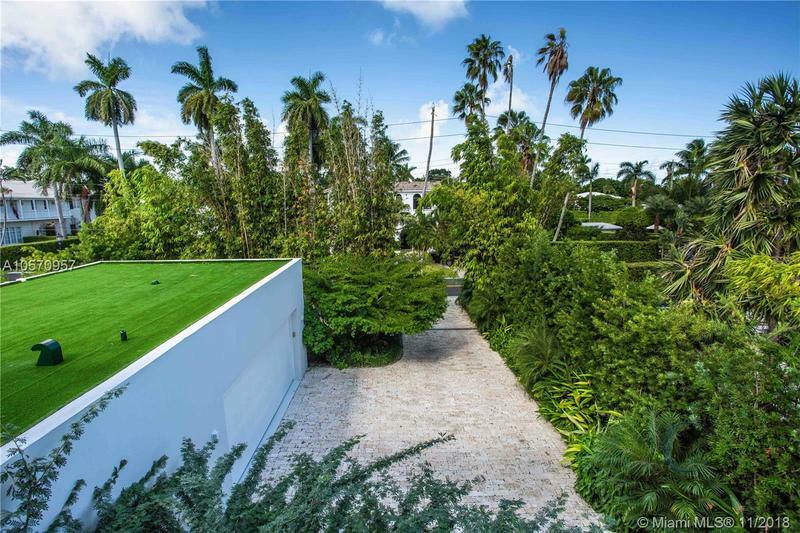 Surrounded by lush landscaping, this oasis is steps away from bustling Sunset Harbour! 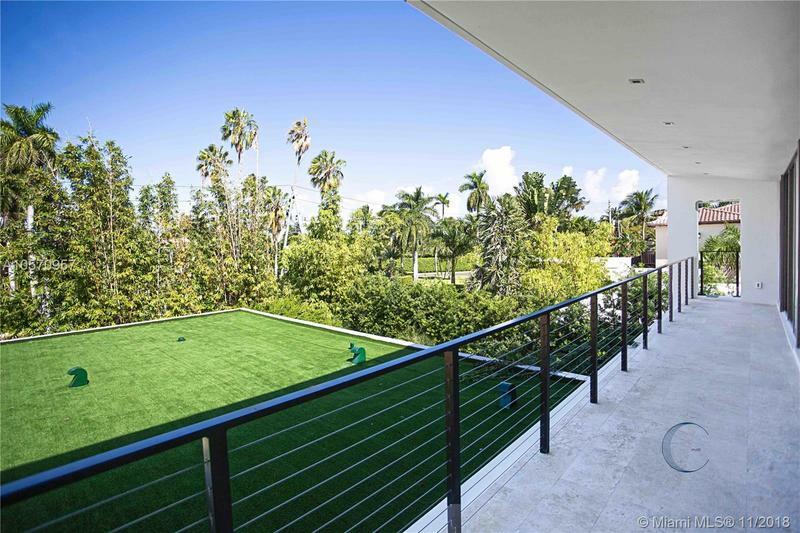 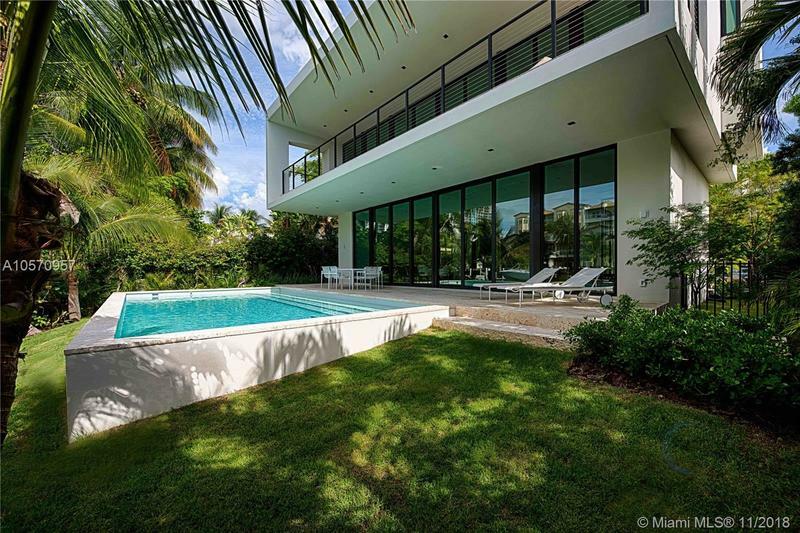 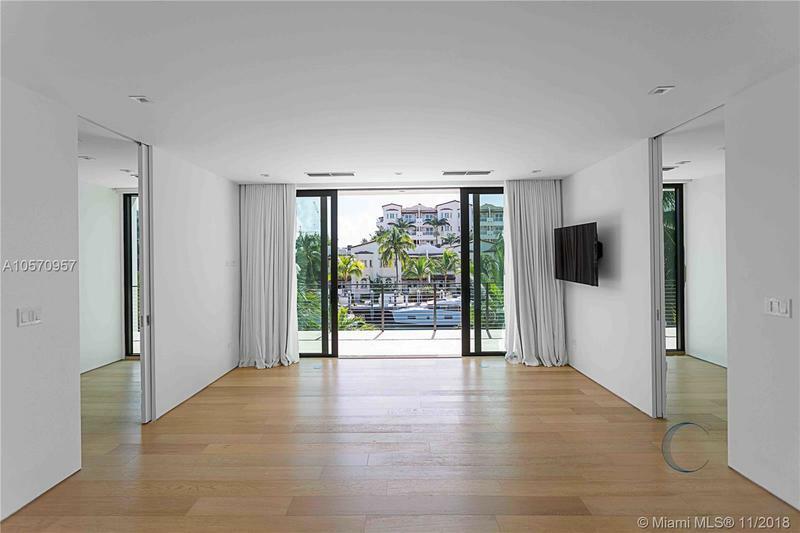 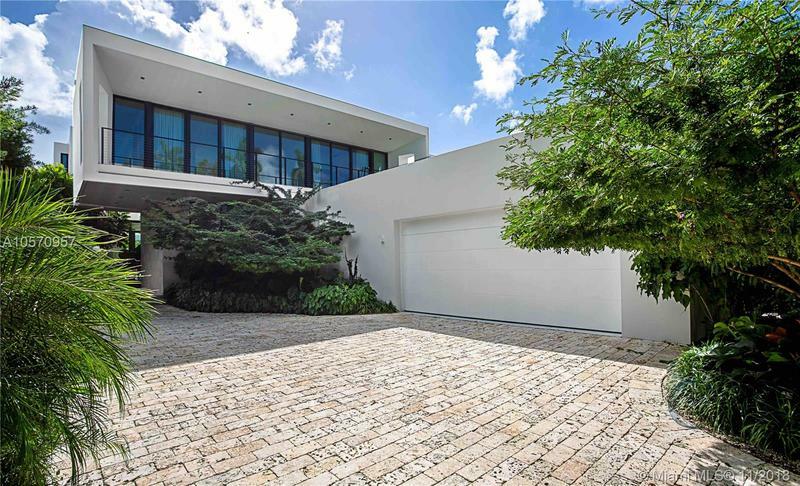 Hurricane impact windows & oversized sliding glass doors encase this showcase property. 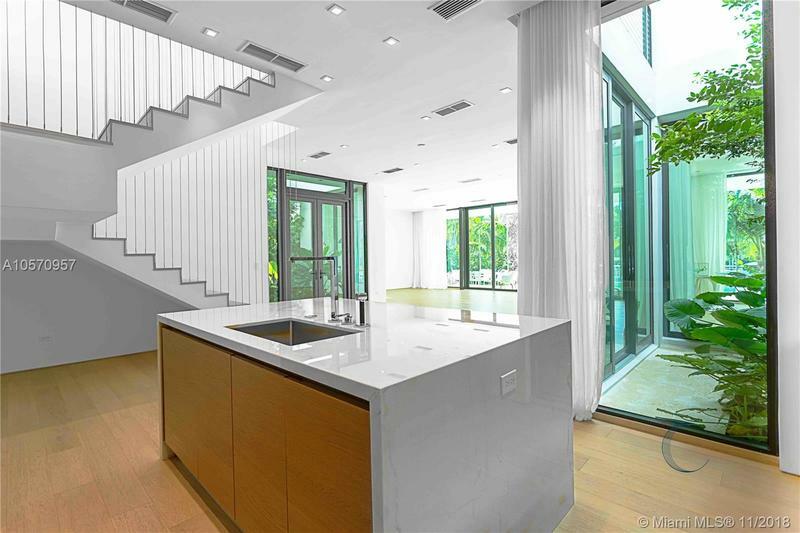 This 5BD/5.5BA home epitomizes casual elegance, w/ bleached oak wood floors, exposed staircase, marble/wood finished bathrooms, & open, airy floor plan. 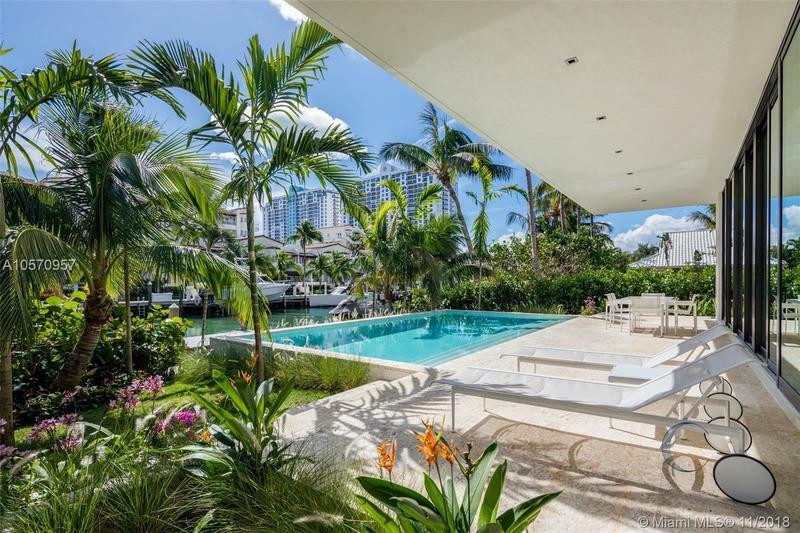 Ideal for entertaining, sparkling infinity pool overlooks the bay & dock. 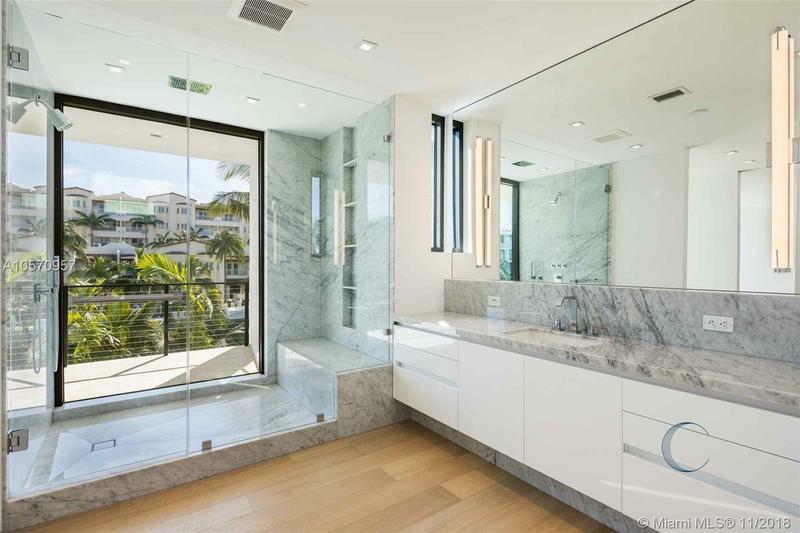 Open chef's kitchen boasts SS appliances, oversized waterfrall marble island & gas stove top. 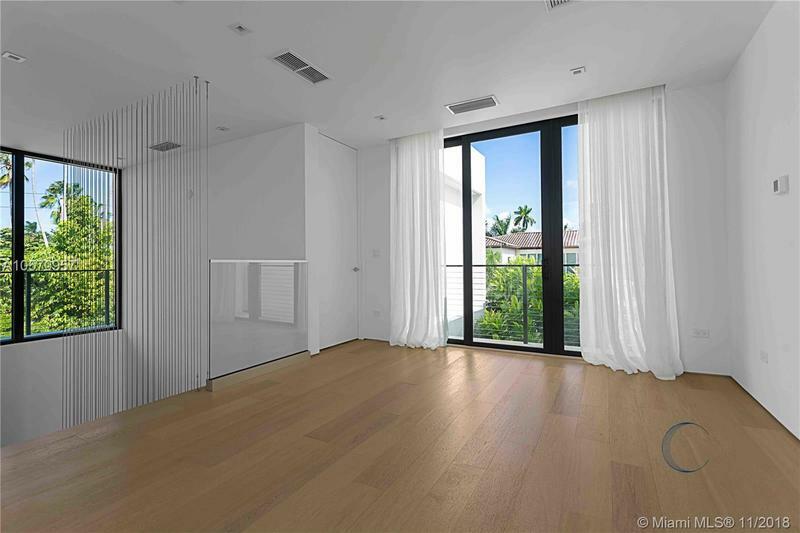 Expansive master suite w/his & her closets and private terrace.